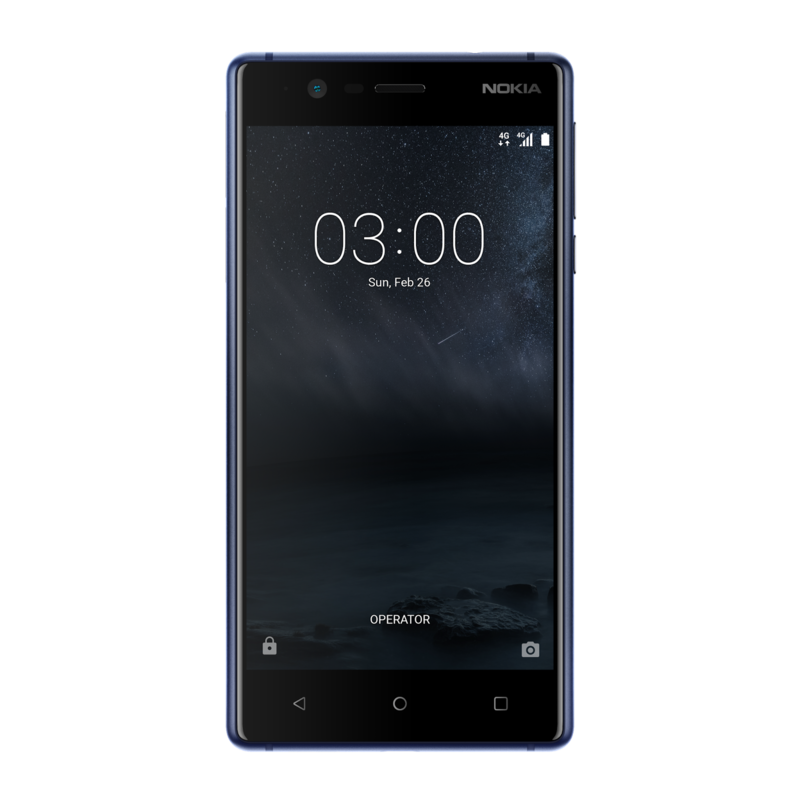 LoveNokia | Latest News and Information about Nokia Mobile: Nokia 3 goes Official. A budget smartphone with Stock Android!! 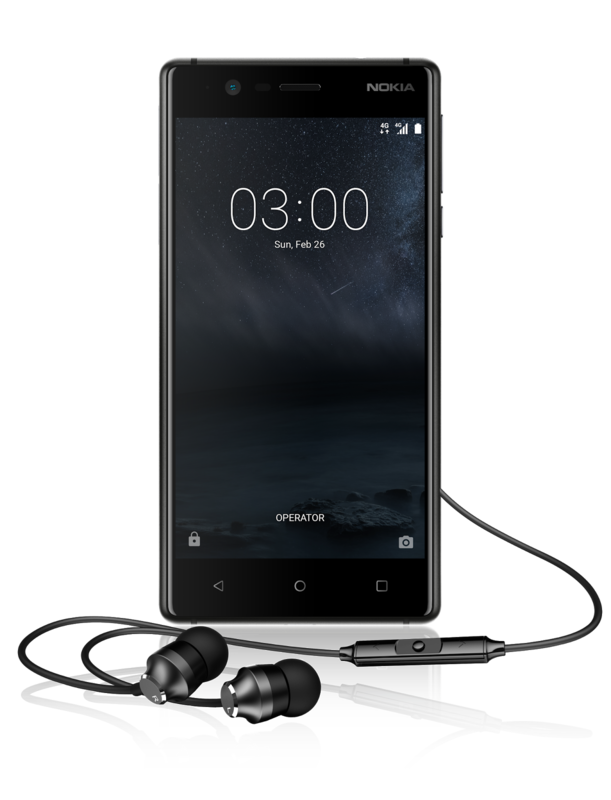 Nokia 3 goes Official. A budget smartphone with Stock Android!! 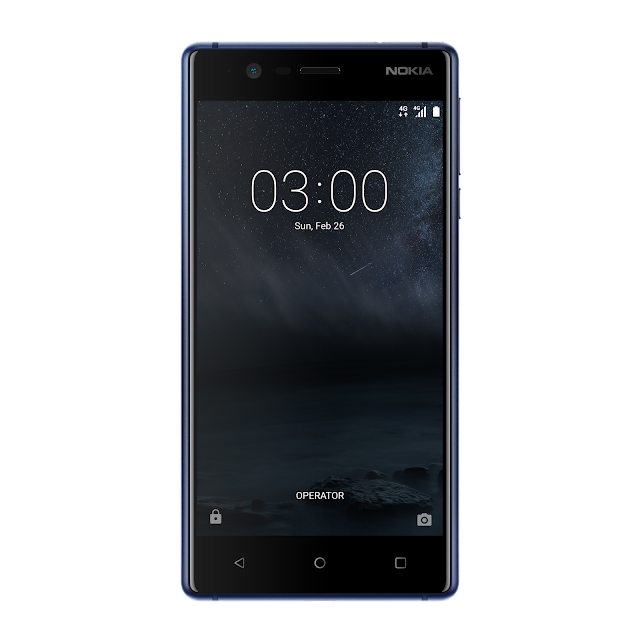 Nokia has officially launched the Nokia 3. Nokia 3 is an entry level budget smartphone running stock version of Android Nougat. Nokia 3 is a beautifully designed metal handset. 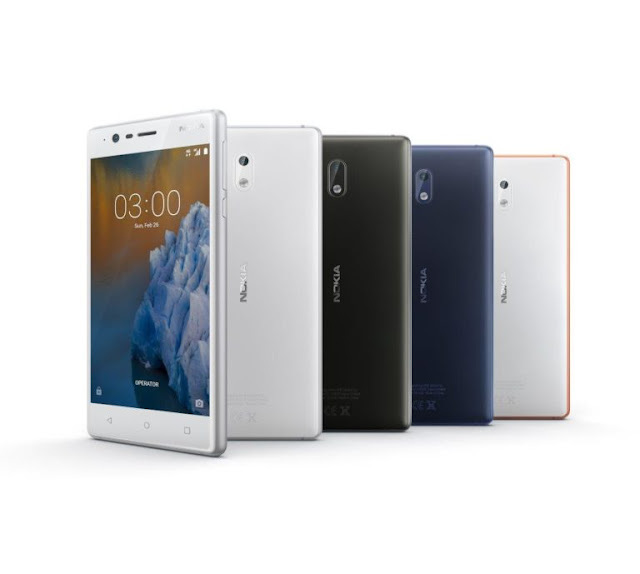 The body of Nokia 3 is made of polycarbonate and the frame of is forged from a single piece of aluminium and is available in four distinctive colours - Silver White, Matte Black, Tempered Blue and Copper White. 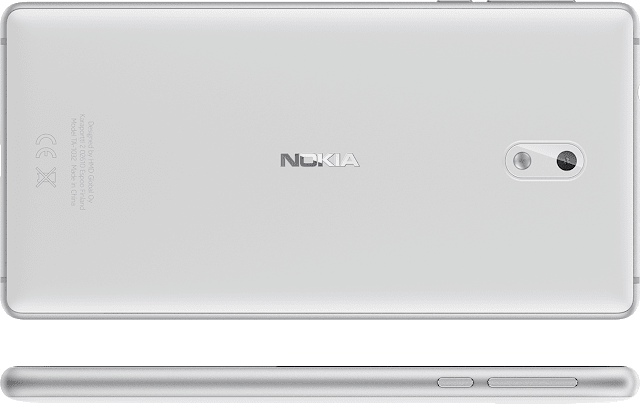 Nokia 3 has 8 MP auto-focus cameras at front and rear. 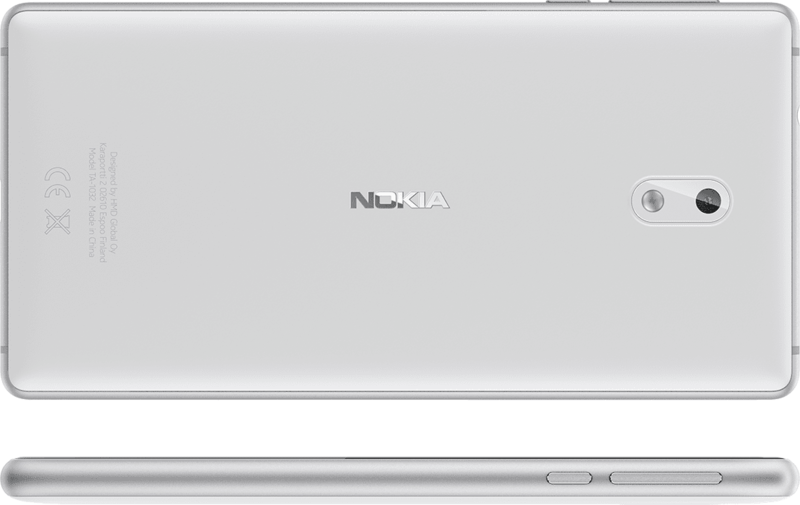 Nokia 3 comes with a 5" 720p display protected by 2.5D sculpted Corning Gorilla Glass 3. 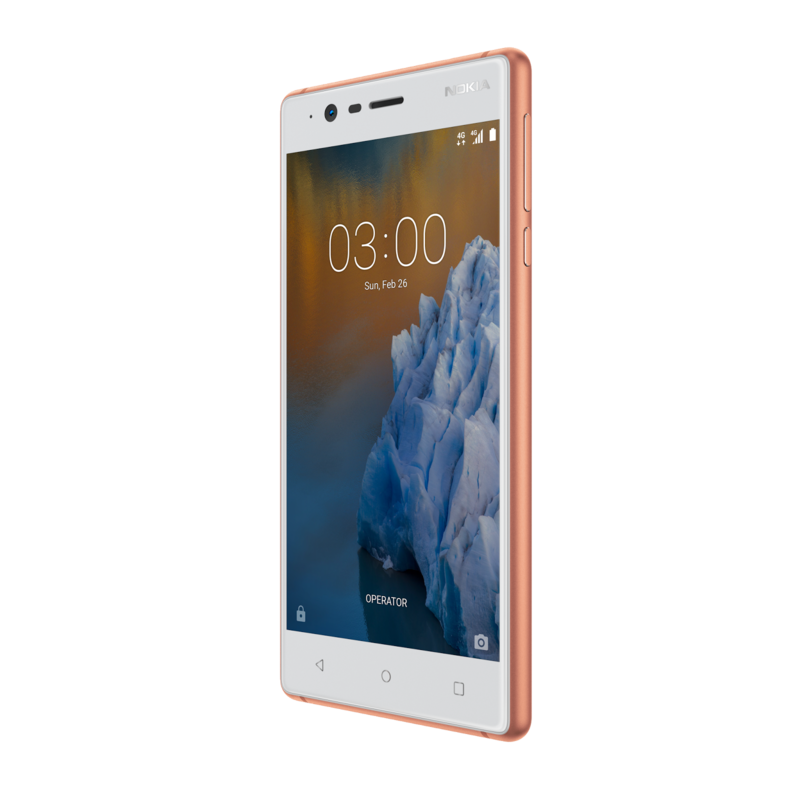 The display has great sunlight visibility thanks to the polarizer and a brightness of 450 nits The expected retail price of Nokia 3 will be around €139 or $147. Sensors: Accelerometer (G-sensor), ambient light sensor, e-compass, gyroscope, proximity sensor, NFC for sharing. Colors: Silver White, Matte Black, Tempered Blue and Copper White. 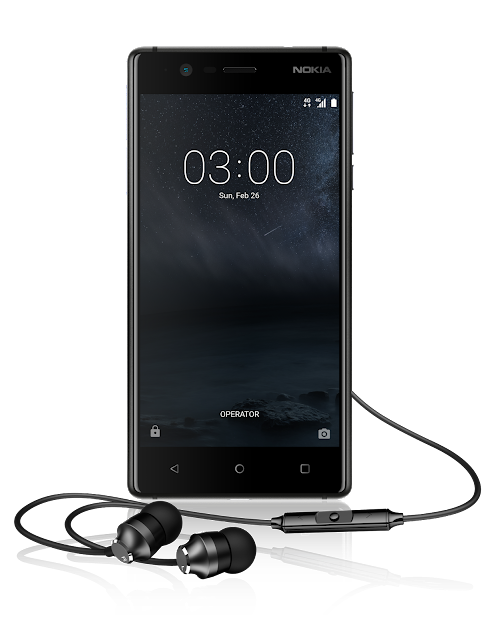 Audio: 3.5 mm Headphone jack and a single loud speaker.